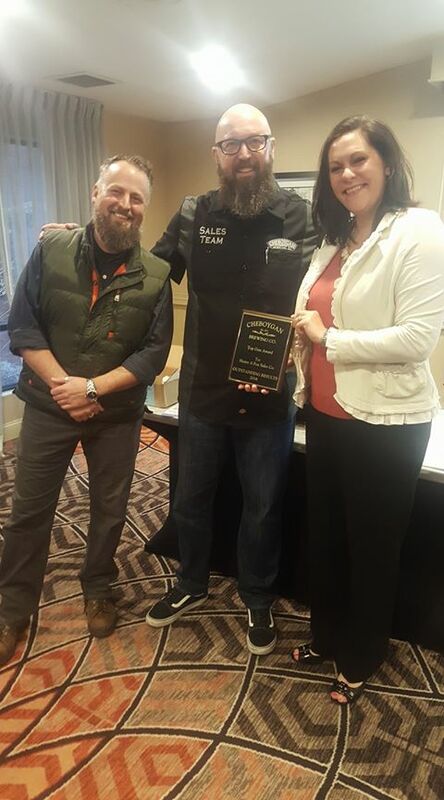 Henry Fox Sales is honored to receive the Top Gun Award from Cheboygan Brewing Company. Cheboygan is reestablishing a proud local brewery in northern Michigan. They are brewing fabulous beers that respect the heritage of the original recipes. These beers begin with water from the Great Lakes and combine choice malts; add in the brew master’s keen attention to detail and the result is an outstanding finished product. We are proud to partner with Cheboygan to bring you magnificent local craft beer. This entry was posted in New & Exciting on February 1, 2017 by Brandi Schrader.